California state regulations require every employer to establish, implement and maintain an effective injury prevention program. In August 2017, the University adopted a campuswide Workplace Safety Program that serves as the university’s central program for creating a safe and healthful work environment. Having one program for the whole university helps to improve access, consistency, and usability across all departments. 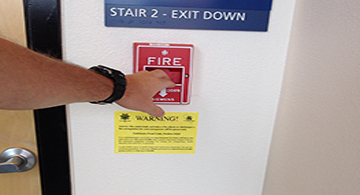 EH&S is the responsible department for overseeing the campuswide Workplace Safety Program. All faculty, staff, and student employees are required to take a one-time training on the Workplace Safety Program. You can access the online e-course here. Click the button below and authenticate via CalNet to view information about your department safety coordinator (DSC).